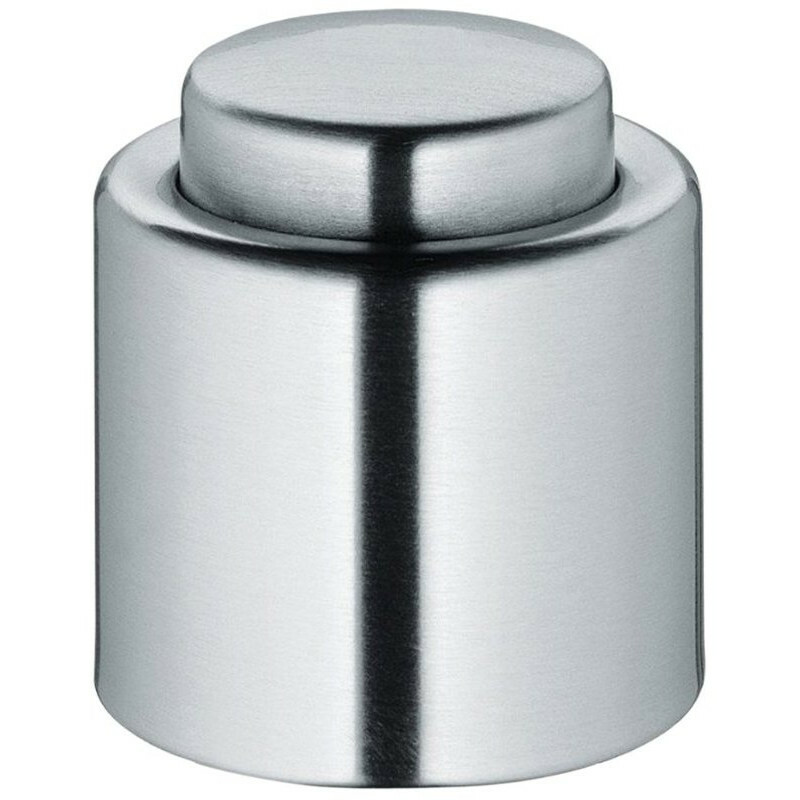 Reseal and store your half empty bottles of champagne with this Cilio champagne bottle sealing stopper from Frieling. This champagne stopper is made of stainless steel with a patented sealing construction. The seal is designed to provide a leak proof barrier for horizontal storage of your wines and works best on average sized bottles. With the simple push of a button you can have an air tight seal to keep your favorite champagnes or sparkling wines fresher for longer.